Updated August 28, 2017. Originally published Sept. 2, 2014. Untreated windows can lead to excess heat, glare and sun damage in your Portland home or business. If you’re dealing with any of these issues, you’ve probably considered several solutions. Perhaps you’ve tried keeping the blinds or drapes closed. Maybe you’ve priced awnings or window replacement. Each of these fixes has pros and cons. Blinds and drapes have an obvious drawback: shutting out light and visibility. Buying new windows is expensive and awnings may not match your building’s architecture. Window tinting is a straightforward solution. Installation is quick and cost effective. Window film blocks hot spots. It also reduces glare and the damage to furnishings caused by ultraviolet light. Even in the Pacific Northwest, we get that harsh sunshine. But, what if you have double-pane windows? Is Window Film Safe for Double-Pane Windows? You may have heard that window film will cause this type of window to break. Professionally installed modern window film is safe for double-pane windows. 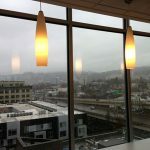 We are a dealer of window films by Panorama, a leading international manufacturer of high-quality window tinting products that we recommend for anyone living in Portland or its surrounding areas. All Panorama films come with a lifetime warranty. They are safe for double-pane windows. Products we recommend include Dual-Reflective, Silver and Frost films. Stress fractures for five years. If necessary, Panorama will take over the window manufacturer’s warranty. This would cover the cost of a new window and installation. It would also cover the cost of reapplying window film. With this warranty, you’ll have peace of mind should your windows ever break. Why Do Some People Think Window Film Harms Double-Pane Windows? In the past, window film contributed to trouble with double-pane windows. The film could cause the glass to overheat and break. This flaw is not a problem with a compatible film and professional installation. Double-pane windows have a space between two sealed pieces of glass. The space is usually filled with a gas. If you apply the wrong film, it may cause the seal in the glass to break or the glass could shatter. The problem starts if installers use inappropriate film. When the film absorbs heat, as it should, the two panes trap the heat. Some window manufacturers will void a warranty if you install an aftermarket film. 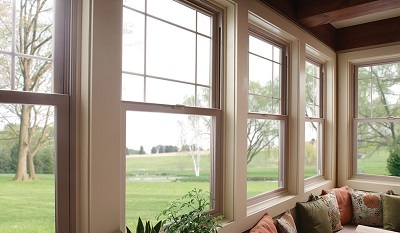 Most of today’s architectural window films, including the ones we install, are safe for double-pane windows. As mentioned earlier, Panorama is confident its films are safe. The company will take over a window manufacturer’s warranty if needed. 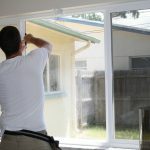 The products we install won’t harm your windows. They will only add beauty and function to your Oregon home or business. You can choose various levels of tints and reflectivity. 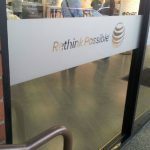 If you want a decorative film, we offer a variety from which to choose. To preserve the original look of your windows, choose a film with little tint. You may not see these films, but you’ll notice the benefits. The film will block heat, glare and ultraviolet light. You should not apply certain types of film to double-pane windows. When choosing window tinting for double-pane windows, consider how much heat the film absorbs. Don’t use films with a solar-heat-absorption rate of 50 percent or higher. They are not safe for double-pane windows. You should never use automotive film on flat glass. This is true even if the heat absorption rating is less than 50 percent. Automotive films are not the same as the architectural film we use in homes and businesses. We’ll recommend the right film for your home or business in the metro Portland area. Our films are safe and beautiful. Contact us today for a consultation and estimate.